This one’s for credit card dependents. Anika Garcia advises, “Pay in cash if you can, kasi if you always pay using your card nagkakaroon ng illusion na may extra money ka to spend. 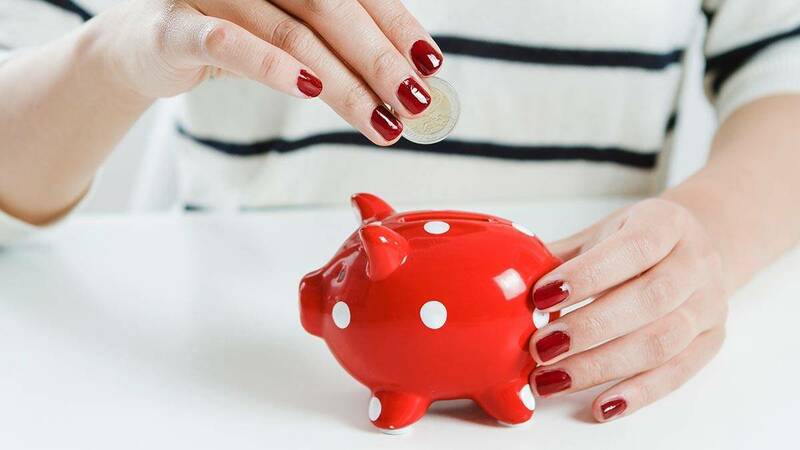 So instead na savings, napapagastos ka.” After paying her balance in full in 2016, Anika simply didn’t use her credit card in 2017: “I read a lot of tips from Dave Ramsey, sobrang helpful. Sa kanya ko natutunan ‘yung lesson na ‘if you can't pay in cash, you can't afford it.’” Estimating how much money she saved, Anika says it’s around P16,000 considering the monthly finance charges and other fees. Back in May 2017, it was Yona Abella who made the P50 challenge go viral. In a post that has now been either taken down or set to private, she simply stuck to one rule: “Lahat ng P50 na mahahawakan ko ay invisible muna sa akin. It means ‘di ko siya gagastusin.” Within five months, she was able to save 846 pieces of those red bills (or P42,300). Of course, even if you don’t reach that amount, the results can be fruitful. Take it from Erikka Abaya, who tried the challenge for five months. She shares, “I tried the ‘P50 strategy.’ [At the end of the five months], I was able to save P8,000.” Yvon Opsima, another believer of the challenge, adds, “Maliit sa iba, malaki na sa taong walang pera.” She was able to save P9,100. In a now viral post, Ivory Ongmanchi describes how effective it is to just stop spending what you saved the day before. She says in her post, “Everyday bago ako matulog , tinatanggal ko sa wallet ko ang mga P1, P5, P10, P20, P50 at P100 pesos—mga natira sa buong araw na nagastos—at itinatabi ko sa kanya-kanyang lalagyan bago ko matulog. [sic]” Ivory was able to save P20,346 in three months! Mars Salazar, who was inspired by the P50 challenge, did a similar thing. In her case, she saved 10-peso coins and 50- and 200-peso bills. “‘Yung one- and five-peso coins and 20-peso bills kasi, I use them for commuting. ‘Yung 200-peso bills naman, rare ka lang kasi makakuha noon, so that’s why ‘yung P10, P50, at P200 ang pinili kong itago sa improvised piggy banks ko,” she says. From June to December, she was able to save around P10,000. Now this one is for the more determined types. The goal is to save a certain amount in increments of it every week. For instance, you can save P10 the first week, P20 the next, and so on until you save around P13,780 by the end of the year. The challenge has been trending since 2016 (and maybe even before), and in 2017, one of the people who successfully accomplished it was Cha Lingat. She says the formula to her success was, “one year walang luho dagdagan pa ng sipag at tiyaga.” She did it in increments of 50, doubled her efforts, and saved twice her goal amount (originally P68,900) to a whopping P137,800! Wow, you go, girl! Which money-saving strategy are you trying out this year?